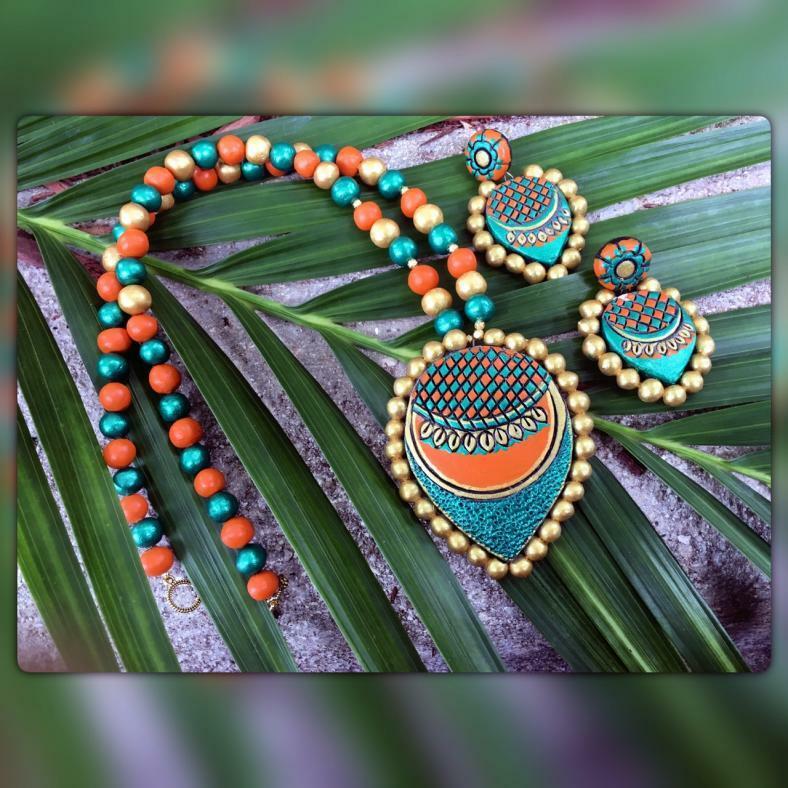 Handmade traditional jewelry set. The set comes with necklace set in Grand Tear dropped Pendant and matching party wear earrings. 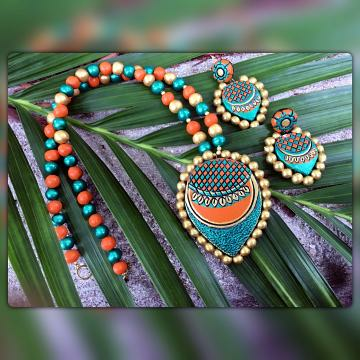 Buy Stylish Grand Tear Drop Pendant Set /w Earrings, sold & shipped by SowJy where you can shop online for Unique Handmade Terracotta, Fashion & Designer Ethnic Jewelry. This Necklace Sets collection has been tagged as indian style traditional design, baked clay, handmade jewelry.